If you’ve been wanting to learn piano for awhile now, you probably have a bunch of reasons why you can’t do it. You’re too busy. Too tired when you get home. You’re afraid it’s too late to start. You don’t have the money. You’ve let these excuses keep you from starting what you want for too long. Instead of focusing on all the reasons that you “can’t” learn piano, focus on all the reasons that you should. If you do that, you’ll find that a lot of your reasons are easy to overcome. Here are twelve reasons you should start learning piano today! Piano is a versatile instrument. One of the best things about piano, as opposed to other instruments, is just how much you can do with it. With a lot of instruments, like flute or guitar, you can only play a single melody line. You often need other instruments in order to make up a full song. This isn’t the case with piano! You can easily play melody and harmony together, and with a bit of practice, you’ll be able to play full songs in no time. It’s also much easier to translate other instruments into piano. Arranging songs has never been easier! Of course, you won’t be an expert in a day. But compared to other instruments, piano can be more gratifying, quicker. With instruments like violin or clarinet, it can take time before you can even produce any noise. It takes practice to make things sound right before you can even get into learning the theory of it. With piano, you can jump right in. There are rules, of course — how to hold your wrists and curve your fingers, for example — but all it takes to produce a nice sound is to hit the key. This makes it easier to stick with, instead of just giving up. It builds time management skills. When you learn piano, you have to make time for it. This will help you learn how to organize. You’ll have to learn how to block out time for it, and this will lead to improvement in other areas of your life. Once you start making time to learn piano, you’ll find yourself making time for other things in your life, too. And you’ll do all this while still remembering to take the time to yourself or to spend with family and friends. Committing yourself to something like learning piano is a great way to show yourself just how much you’re capable of. You might be worried that learning an instrument will be stressful. In fact, that couldn’t be further from the truth. Studies show that playing music actually relieves stress. It has to do with how it works in the brain. Basically, playing music forces your brain to focus on something else. This will distract your brain from being stressed, helping to soothe and relax you. For many people, playing piano is a great way to relieve stress at the end of a long work day. You might find that it works for you, too! When you learn piano, you feel accomplished. And the more you play, the better you get. These sorts of results are great for building your confidence. Learning piano is about proving to yourself that you can do it. That you have the dedication, passion, and resilience to make it through. This is a great confidence boost. Whenever you start feeling like you aren’t enough, or that you can’t make it through a difficult task, you can look to how much you’ve improved in piano as an example as to how you can do whatever you put your mind to. Are you a forgetful person? Taking the time to learn piano may help. Scientists studied brains and found that the brains of musicians were more developed in the areas that helped them remember things. This is because learning an instrument actually changes the way your brain works. And it changes it for the better. Even if it doesn’t feel like it at first, when you learn piano, you also learn a new way of thinking. It’s almost like learning a new language because you have to learn how to read sheet music. This will help you retain things. There’s a reason that music therapy is used to help people with ADHD or other disorders. Learning music can help sharpen your focus. When you dedicate your time to something every day, you learn how to keep your attention on that one thing. Often, you’ll only have a set amount of time in the day to practice. And you quickly realize that in order to get anywhere, you need to make the most out of that set time. Soon, focusing on the task as soon as you sit down will become second nature. And this will carry to other areas of your life. There really is no end to the positive effect that learning music can have on your brain. Studies have proven, time and time again, the positive benefits that come when you learn piano. This study, for instance, proved that learning music can help reading comprehension skills develop. Again, this comes from the changes that happen to a brain when one learns an instrument. You become more open, and your brain becomes more versatile. This helps your reading comprehension because you’re able to quickly understand concepts. Just like you have to learn how to quickly translate sheet music to your hands, you’ll be able to translate letters on a page to words. Math skills are improved, too! It’s not just reading comprehension that gets a boost when you learn piano, though. As it turns out, when you learn piano, you’re engaging a lot of the same areas of the brain that you do when you’re trying to tackle a math problem. One study showed that children who learn an instrument score up to 40% higher on math exams. All of these studies point to one thing: when you learn piano, it gives you the tools to improve your brain in all sorts of different ways. Piano players have more efficient brains. This is something that is specific to people who learn piano, not just any instrument. When you learn piano, you have to train yourself to use both hands. This means training yourself out of favoring one hand over the other. And, according to scientists, this actually leads to you having a more symmetrical brain. This goes beyond just looks. Having a more symmetrical brain actually makes it more efficient, because both sides are equally competent. Pianists just have a different way of looking at the world. And if you learn piano, then you can start seeing the world that way, too. It helps you express yourself. In our life, it can often be difficult to express ourselves. We have to focus on work, or customers, or family. So much of what we do is done for the sake of other people, to make them happy. But when you learn piano, you’re able to do something for yourself. You’re able to learn the songs that you want, play how you want to play. This kind of self-expression might even teach you things about yourself that you would have never known otherwise! When you play piano, you discover new ways to express yourself and share yourself with the world. Happiness is created, in part, by endorphins released in your brain. As it so happens, playing an instrument releases a whole bunch of them. This has a lot of positive effects, including pain relief. But at the end of the day, it’s amazing how much happier you can be when you learn piano. A lot of it comes from the reasons we already listed — you feel more confident, more organized. But you also just feel better, in general, because of the endorphins released. If you’re looking for an escape, a way to feel happier, you should really try to learn piano. How do I learn piano? 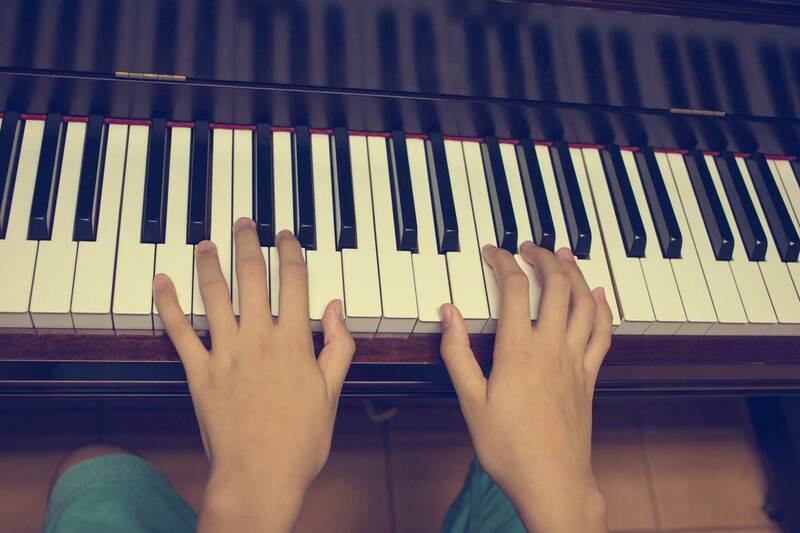 Even with all of these reasons, you might still be hesitant to learn piano. And it’s true, shelling out money for a teacher week after week does start to take its toll. But that’s not the only way. Our pianos can be connected to your iPad, with an app that can help you learn piano without a teacher. This means that the only purchase you have to worry about is the piano itself. This helps you save money because piano takes years to learn. That means years of lessons that you have to pay for. If you want to get all of the benefits that come with learning piano, come to us instead! You’ll be on your way in no time.